NEW YORK, Feb. 4, 2019 /PRNewswire/ -- Concierge Auctions continues to showcase its dominance in the luxury real estate sector at homes priced over $10 million and even above $100 million. 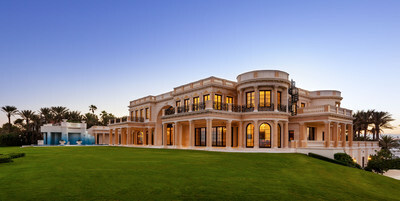 Recent, record-breaking transactions include Playa Vista Isle located in Hillsboro Beach, Florida — one of the country's most expensive listings previously offered at $159 million — which broke the US record for the highest price ever achieved for a home at auction and the highest sale ever in Broward County; Summertide — a furnished estate previously owned by business magnate Howard Hughes, located in the north shore of Lake Tahoe, Nevada — which sold for its previously listed price of $17.5 million after just 10 days of exposure; and Circle R Ranch in Aspen, Colorado, which sold for $14.28 million. "Every market has a threshold above which homes are more difficult to monetize, and asking price has no bearing on interest level," said Laura Brady, president and founder of Concierge Auctions. "The auction process is especially valuable in this ultra-luxury environment, and no other firm is as knowledgeable about the category as Concierge Auctions. We're proud to represent more than 90 percent of the $10-million-plus auction sales, maintain an A+ satisfaction rating, and hold many record-setting transactions, including three world records for the highest prices ever achieved for a property at auction." With a decade in business, the firm continues to dominate the industry, breaking records and achieving record-setting prices. The sale of Playa Vista Isle resulted in over 1,800 inquiries and created a bidding war amongst 11 buyers — a tremendous result for a property of this caliber. The 5± acre property is the only Ocean-to-Intracoastal Waterway estate on the Gold Coast to offer 500± feet of private oceanfront beach and two concrete deep-water yacht docks. Completed in 2018, the estate features 11 bedrooms, 22 bathrooms, and 22-karat gold leaf gilding throughout. With its world-class finishes, Playa Vista Isle has been awarded the "World's Best Property," "Best Residential Property-Florida," and "Best Architecture Single Residence-Florida" by the International Property Awards. "I hired Concierge Auctions because their reach to the most elite buyers across the globe is unsurpassed, and I've been equally impressed by the attention to detail and business acumen of their entire organization," state the seller, Robert Pereira. "If I had the chance to sell this property again, Concierge Auctions would be my first call. They are the best organization in the world to produce the highest price for one-of-a-kind properties in an efficient manner." Separately, Summertide, a c1934 family log home overlooking 500 feet of shoreline on Lake Tahoe, Nevada, which had been on and off the market for years, sold after only 10 days of marketing, with a pre-auction offer at its $17.5 million list price in cooperation with Mary Jurkonis and Nancy Fennell of Dickson Realty. "Our family enjoyed our days together at Summertide for nearly 25 years. After having been on the market for years, we were intrigued by a process that would give us control as sellers. We vetted a number of auction companies and after much due diligence, we chose to partner with Concierge Auctions because their auction platform is the best in the industry. The outreach afforded to us was incredible, resulting in a full list price offer just days into the auction marketing cycle. We couldn't be happier with the process from start to finish, and we truly believe we would not have realized the price we did without Concierge — in fact, our only regret is not hiring them sooner," stated the seller, Bruce James. "After much vetting, my client and I turned to Concierge Auctions as the leader in the luxury auction space to bring heightened awareness and help us find the right buyer. Concierge's ability to widen the reach, execute a global marketing campaign, and drive qualified buyers from all over the world was nothing short of incredible," Jurkonis stated. "The momentum was felt from day one. Concierge Auctions' hands-on, collaborative approach and deep experience made for a seamless process, and I highly recommend them as the premier partner to sell within a set timeframe." Concierge Auctions also received multiple bids for Circle R Ranch, a 244-acre property located in the Woody Creek Valley near Aspen, Colorado. The ranch is comprised of 22,165 square feet and includes 10 homesites with six single-family homes that offer a combined 22 bedrooms and 23 bathrooms. The $14.28 million sale sold above its initial reserve price in cooperation with Andrew Ernemann and Craig Morris of Aspen Snowmass Sotheby's International Realty. "Concierge Auctions did exactly what they were hired to do and the process worked! The team accurately represented a highly valuable and unique property at a wholesale price (with a minimum auction bid of $10 million) and we had great showing activity on a daily basis, generating substantial interest from potential bidders and numerous registered bidders with the firm's marketing platform and daily open house schedule," stated Morris. "The auction was a success and the property was 'sold' during the auction, as promised. I will unequivocally recommend Concierge Auctions in the future and I look forward to working with Chad Roffers and his team again." View more of Concierge Auctions' top sales here. Or, if you or someone you know is interested in buying or selling a remarkable property through Concierge Auctions, call +1.212.658.1404. Concierge Auctions offers a commission to the buyers' and sellers' representing real estate agents. See Auction Terms and Conditions for full details. Concierge Auctions is the largest luxury real estate marketplace in the world, powered by state-of-the-art technology. Since its inception in 2008, the firm has generated billions of dollars in sales, broken world records for the highest priced homes ever achieved at auction, and is active in 40 U.S. states/territories and 27 countries. Concierge curates the most prestigious properties globally, matches them with qualified buyers, and facilitates transparent, market-driven transactions in an expedited timeframe. The firm owns arguably the most comprehensive and intelligent database of high-net-worth real estate buyers and sellers in the world. As a five-time honoree to the annual Inc Magazine list of America's fastest-growing companies, it now joins the Inc5000 Hall of Fame; was named No. 38 on the 2018 Entrepreneur 360™ List recognizing 360 small businesses every year that are mastering the art of and science of growing a business in the areas of impact, innovation, growth, leadership, and business valuation; and has contributed over 200 homes to-date as part of its Key for Key® giving program in partnership with Giveback Homes, which guarantees that for every property the company sells, a new home will be built for a family in need. For more information visit conciergeauctions.com.